WASHINGTON, D.C., (April 21, 2011) -Acel Moore, a founder of the National Association of Black Journalists (NABJ), will receive the organization's Lifetime Achievement Award, the Board of Directors announced at its spring meeting. Moore is a legendary columnist, writer and senior editor, who has had an amazing impact on American journalism for more than 50 years. He began his career with The Philadelphia Inquirer as a copy clerk, then became an editorial clerk and worked his way up through the editing and reporting ranks to become editor emeritus. Moore won the Pulitzer Prize in 1977 for local investigative reporting for a series on the abuse of inmates at Fairview State Hospital. 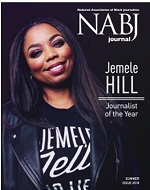 "Acel has had an impressive career in journalism, spanning decades and achieving distinction at the highest levels," said NABJ President Kathy Y. Times. "Founder Moore is a role model and has set the standard for excellence in our profession; a true giant, he has paved the way for many others who follow behind him. He is most deserving of our organization's highest honor." Moore will join other top honorees at the association's Salute to Excellence Gala, scheduled for Aug. 6 in his hometown of Philadelphia during NABJ's 36th Annual Convention and Career Fair, the largest annual gathering of minority journalists in the country. Among his crowning achievements, Moore is one of the three original founders - with Claude Lewis and Chuck Stone - of the organization that became NABJ. They launched the Philadelphia chapter in 1973, and it became NABJ's first chapter when it was founded two years later. The advocacy organization has grown into a flourishing national association, impacting the careers of thousands of black journalists. Moore won the Pennsylvania Bar Association Scales of Justice Award in 1970 for a series on the juvenile court system; the Public Service Award from the Society of Professional Journalists and an award from the Pennsylvania Associated Press Managing Editors Association. He also was honored with NABJ's 2005 Legacy Award. Additionally, he has had an impressive career teaching journalism. He has served on the faculty at the University of California at Berkeley for the school's summer program for minority journalists; worked as a journalism instructor at Temple University and Florida A&M University; and has been a journalism consultant to Northwestern University, Duquesne University, the University of Kansas and Norfolk State University. President/Editorial Product Development for Inquirer, Daily News and philly.com. Moore established the Art Peters Fellowship Program, a copy editor internship that has launched the careers of minority copy editors. He also created the Journalism Career Development Workshop that has trained dozens of Philadelphia high school students, and it is named in his honor. "I also met him as a young journalist during a conference at Penn State when he and Founder Les Payne were the keynote speakers. I sat in awe of two black Pulitzer Prize winners that weekend," said NABJ Vice President-Print Deirdre M. Childress, who later joined Moore at the Inquirer. "I listened to them and knew they were the kind of journalists I wanted to be. He has always reached back to others who have hard lives, and we here at the Inquirer are so proud to call him ours." This summer, Moore will join other top honorees at the Salute to Excellence Awards, the Miami Herald's Jacqueline Charles for Journalist of the Year, and ESPN's Claire Smith, a former Inquirer sports columnist and editor who will receive the Legacy Award. The Salute to Excellence Awards Gala recognizes journalism that best covers the black experience or addresses issues affecting the worldwide black community. 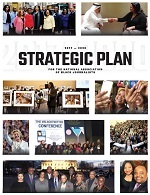 NABJ's 36th Annual Convention and Career Fair is scheduled Aug. 3-7, in Philadelphia. For information, ticket sales, and registration, please here.